STB | - Check out 27 new images from The Battle of the Five Armies Visual Companion and Official Movie Guide! Check out 27 new images from The Battle of the Five Armies Visual Companion and Official Movie Guide! It’s been a while (or at least it feels like it) since we’ve all had a truly good spy story with some juicy details or photos that Warner Bros. hasn’t trickle-released to the public. 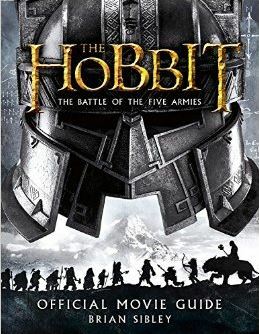 If you’ve been chafing at the bit for more, 中土红皮书 (The Red Book of Middle-earth, a Tolkien fan site from China) has just leaked 27 images from two forthcoming movie tie-in books: Jude Fisher’s The Battle of the Five Armies Visual Companion and Brian Sibley’s The Battle of the Five Armies Official Movie Guide. Be warned: there are movie spoilers as well as discussion/analysis below. If you like what you see after the movie spoiler space, you can still pre-order your copy using the links below: neither book is due for release until November 20. 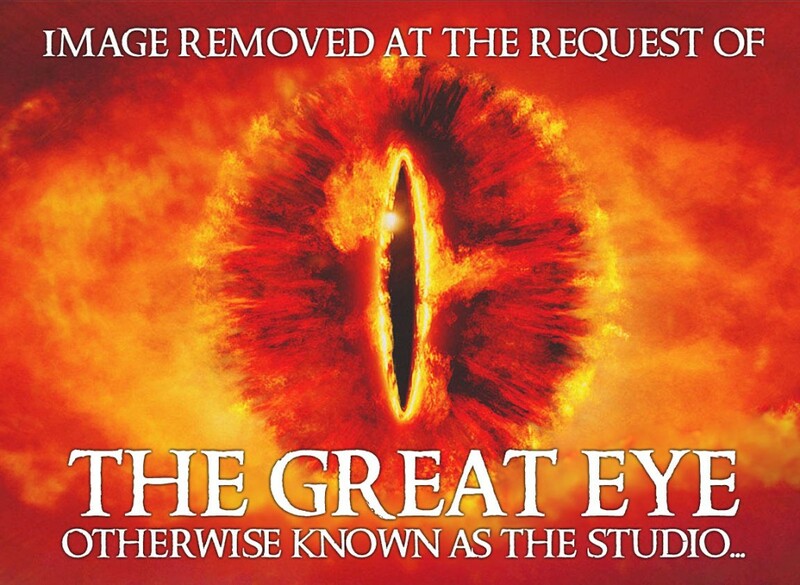 UPDATE:Okay, so Warner Bros. didn’t really like us putting those images up and have asked us to remove them. I’m hoping that at some point we’ll be able to restore them, so I’ve just added placeholders for the time being and retained my captions. As with all things on the internet, nothing is truly gone forever: if you’re truly keen to see these images, a bit of google-fu will allow you to dig them up.I also thought it might be useful to summarise and analyse a few of the more noteworthy images and delve a bit more into what’s going on.Fili and KiliNot so much for the images, but for the captions. “I think Fili, especially, feels that weight of responsibility of what potentially he may become. He is the older one so he feels protective of his younger brother.”“Kili is a more audacious kind of guy; he’s up for fun and he’s up for smashing a few heads. Thorin is someone who they aspire to be like and somebody they really want to impress, and what better time than now?” I think the mention of Fili’s protectiveness is interesting. We saw in The Desolation of Smaug that Fili is very devoted (in a typically stoic Dwarven fashion) to his brother. He remains behind to care for the wounded dwarf, putting Kili’s wellbeing even above his loyalty to Thorin. [Thorin:] “Fili, don’t be a fool. You belong with the Company.”[Fili:] “I belong with my brother.”[Fili pulls away from Thorin and goes to join Kili and Oin.] Now, we all know what’s coming in the final film: Fili, Kili and Thorin all get the big chop. With the destination not in doubt, the how — the journey — becomes the puzzle. So my question is, knowing the writers’ love of foreshadowing, will we again see Fili’s loyalties torn between his admiration of, and respect for, Thorin, and his desire to protect his younger brother from harm — this time with fatal consequences? 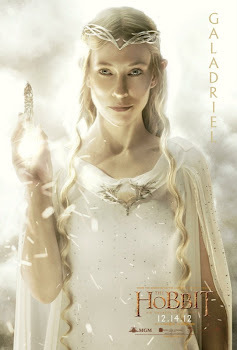 GaladrielThe Galadriel image is intriguing not so much for what it shows, as for what it doesn’t reveal. Because, as early as An Unexpected Journey, marketing assets showed Galadriel with the phial (filled with the light of Earendil) in hand. This new image does not feature the phial. In fact almost none of the imagery this year has — not the trailer, not the banners, not the character posters (admittedly the last is a very closely cropped portrait).Except for one.And that is the image of Galadriel from the Witch King battle Lego set. 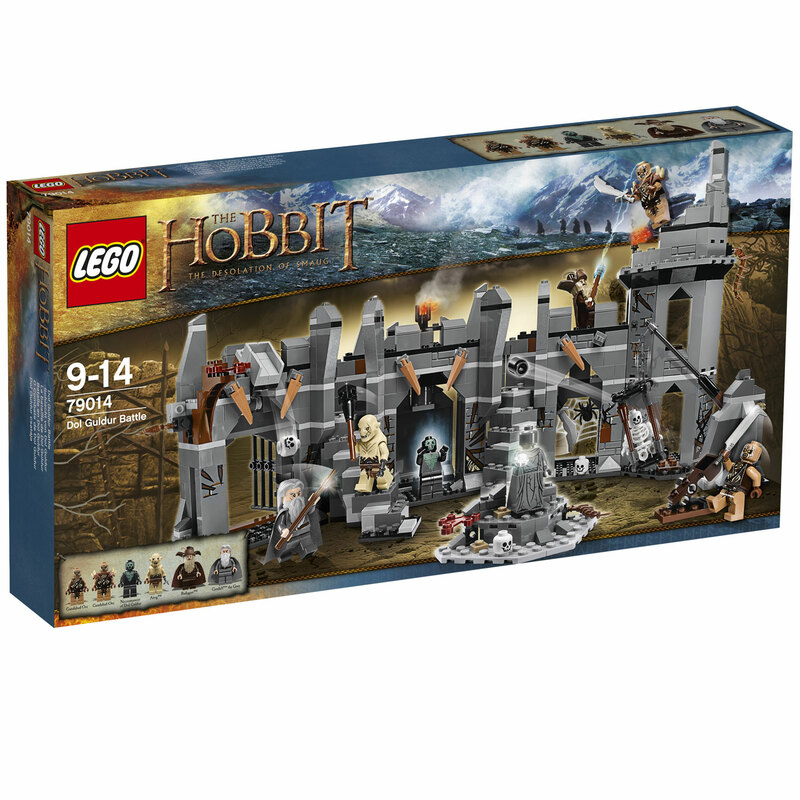 Of course, Lego’s toy line-ups have proved deceptive before: Beorn as part of the Dol Guldur ambush set is one example of a scenario that never eventuated. The Palantir that can be quite clearly seen in the Dol Guldur battle set is another (the Palantir was, in fact, hastily ‘shopped out of the DOS tapestry/scroll after the wrong version was initially released. You can see the key part of the original here. ).The lead-time on these toy lines is enormous. 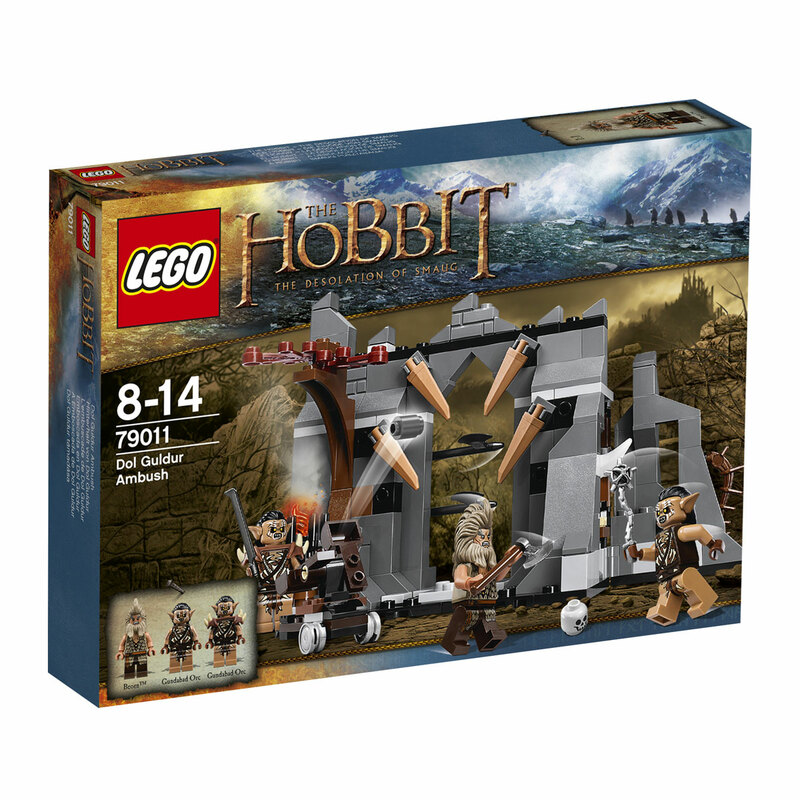 Thus it’s conceivable that Lego and WB locked in a design that has since been made redundant by script changes. We shall see.TaurielThere’s also food for thought in John Howe’s explanation of the bond between Tauriel and Kili: ‘The relationship between Tauriel and Kili,” says John Howe, “is like one of those love stories when people think they are falling in love when, in fact, they are actually falling out of love with everything else around them, and the only sympathetic face is someone who they would never choose in any other circumstance… So, it’s a kind of ‘almost-love-story’ with the potential to be tragically moving.” I can kinda see this. In a Middle-earth that, in the late Third Age, tends to insularity Kili and Tauriel are, in a way, kindred spirits. It’s not exactly a shared wanderlust. For Kili it seems driven by curiosity and wonder about the outside world. That marks him as different among his more clannish peers — and his kindred in general. Dwarves are more practical than they are poets, I guess. Gimli is an exception. So, I think, is Kili, though it’s often concealed beneath a brash exterior. Tauriel, on the other hand, seems to be undergoing a slow re-evaluation of her worldview — one that is leading her to philosophical positions very much at odds with those she’s previously been closest to. “It is our fight,” she tells Legolas, but at this point Legolas can’t grasp the logic of looking outside his own world. Thranduil refutes it point-blank — he will not change the policy that has allowed his kingdom to endure for thousands of years.Another point is that this makes the pair similar in outlook to Gandalf (and Bilbo).Course, whether you buy this “meeting of minds” is up to you, and whether it’s been well-executed by the writers is also questionable. Thranduil character photo in battle armour. Caption: This page: Azog the Defilier, leader of the Orc hordes, will command his forces to the death! Opposite: The Defiler Strikes back! Fili character photo in battle armour. Kili character photo in battle armour. Bombur blows a horn even more massive than he from atop the battlements overlooking Erebor’s ruined front gate. Thranduil in action against an orc (left). The question is, who is the figure on the right? Dain II Ironfoot, perhaps? If so, that’s one crazily massive dwarf.